Cuddly Carrot are excited about pasta! We have invested in a pasta machine and decided it’s great fun – if a bit of effort! The results are definitely tastier than shop bought gluten free pasta and it’s pretty quick to make once you get the hang of it – but don’t attempt this recipe if you don’t have a pasta machine! Our dairy free recipe is super simple and packs a punch with strong flavours of squash, onion, chilli and a pomegranate balsamic dressing and pesto! Dressing – combine together all the ingredients with a whisk! 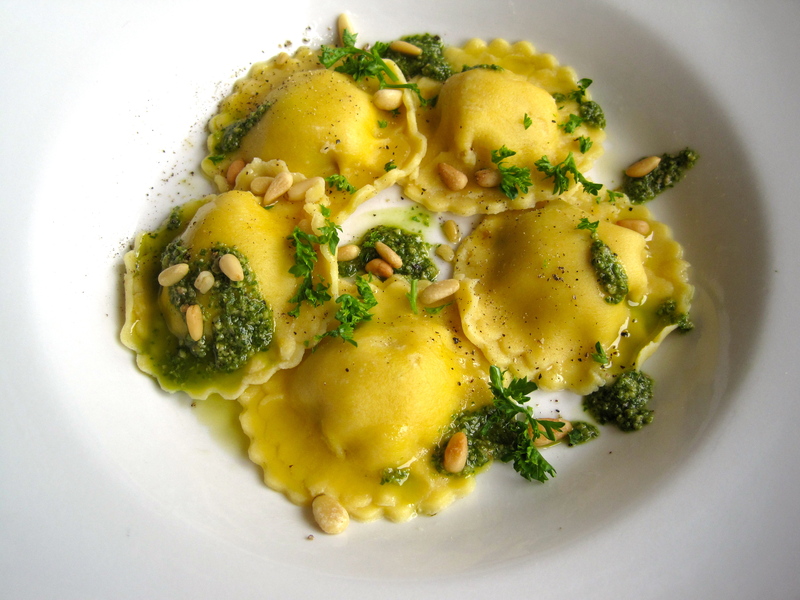 + pesto (optional) + pine nuts to top! 1. Chop the squash in half and remove the seeds. Drizzle with olive oil and cook in the oven, cut side down for 40 minutes at 200°c. 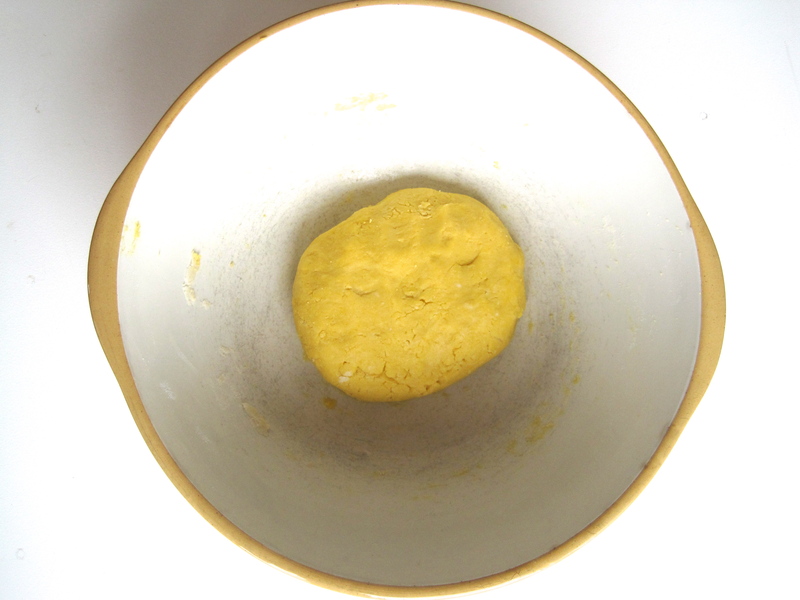 Once slightly cooled, remove the skin and liquidize in a food processor or with a stick blender. 2. Fry the onion and garlic in a frying pan. Add the chilli and cardamon and season with salt and pepper. Add the squash and pine nuts and mix together. Set aside. 3. To make the pasta, in a large bowl, add the beaten eggs to the flour and stir together with a fork and latterly with your hand to make a smooth dough. If the dough is a little wet, add some extra flour and knead it in. If the mix is too dry, add a little water and combine. 4. Roll your pasta out using a pasta machine to a fairly fine setting (but not too far). Cut out rounds with a fluted cutter, top with a little of the squash filling and cover with another round to make a wee flying saucer! 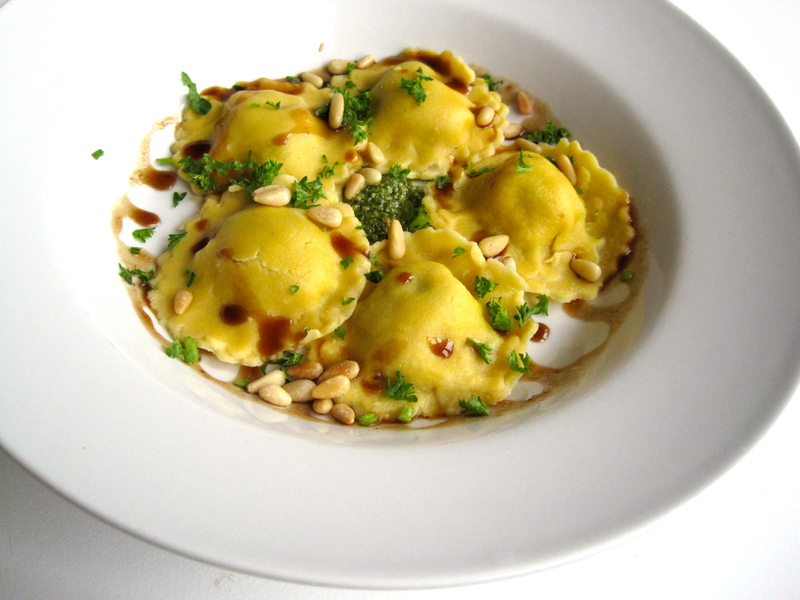 Leave the ravioli on a sheet of baking parchment so they are easier to move around and handle. 5. 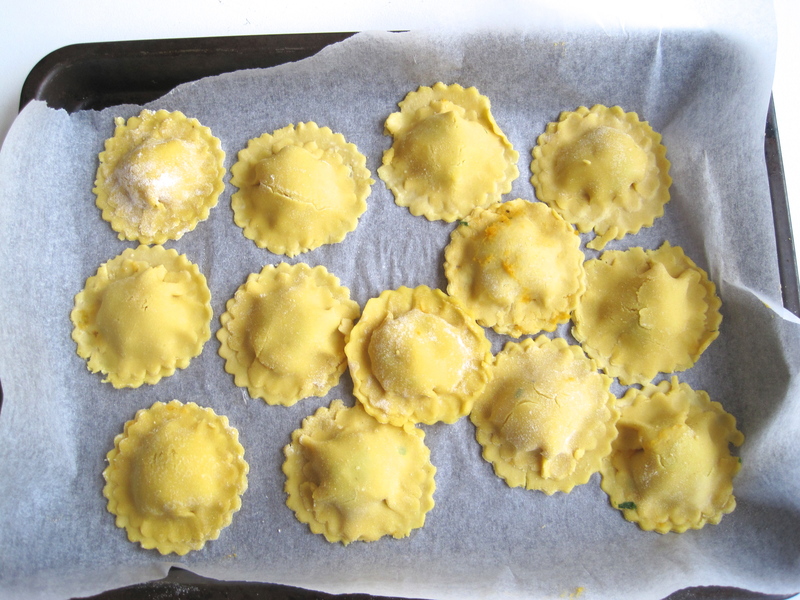 Boil a large pan of water and cook the ravioli in batches in the pan for 5 minutes until they rise to the surface of the water and are easy to cut – they will rise before the 5 minutes are up but allow them to cook longer or they will be harder than al dente! Remove from the pan, straight to a plate and serve with the pesto, dressing and pine nuts and a drizzle of extra virgin olive oil.